This article, Spray Painted Glittered Milk Glasses is sponsored by Bounty. All opinions are 100% my own. 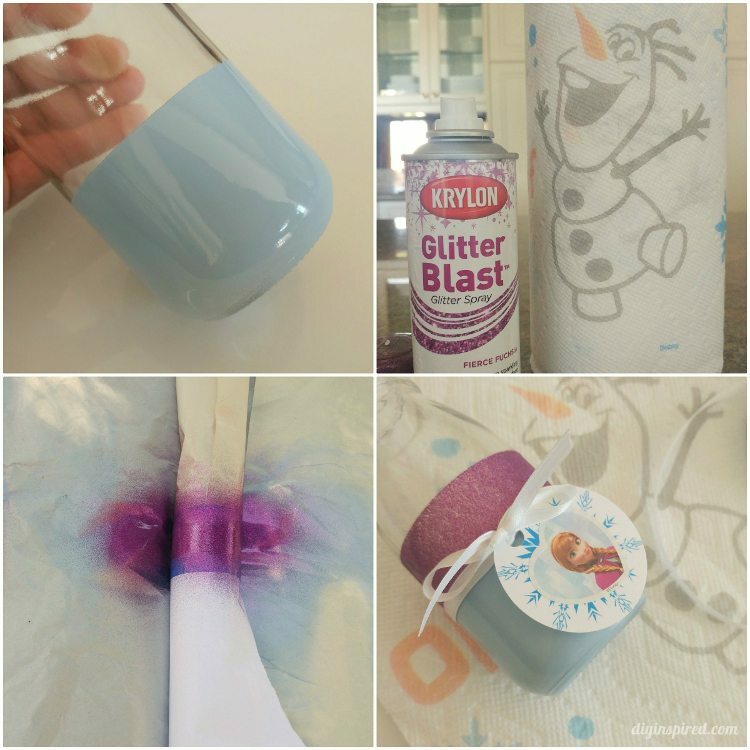 In honor of the limited-edition NEW Bounty Prints Featuring Disney Frozen, I thought I’d help celebrate the arrival by making these simple spray painted glittered milk glasses for a Disney Frozen themed party. 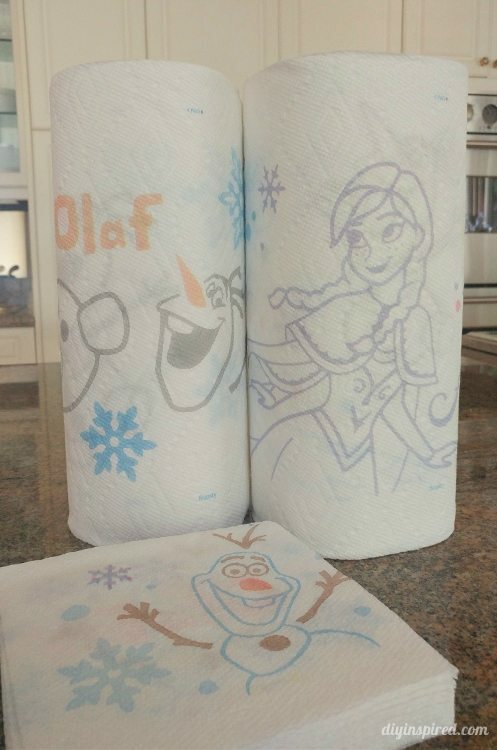 The NEW Bounty Prints Featuring Disney Frozen come in Paper Towels and Quilted Napkins. Aren’t they fun? They are a must-have to help with party and craft clean up. 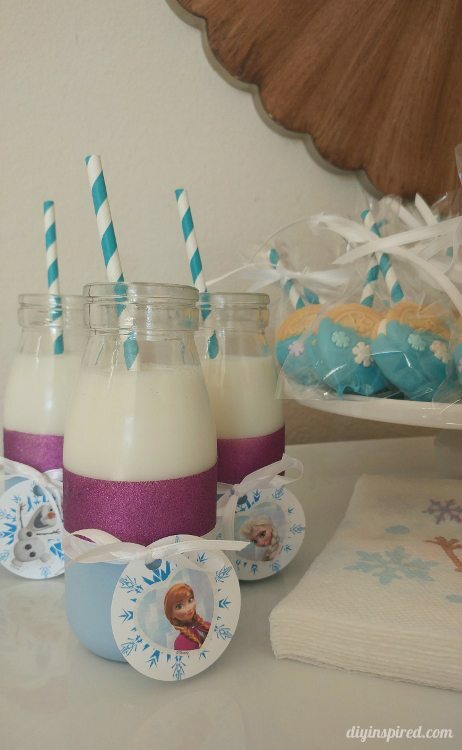 You only need a few items to make these Disney Frozen inspired glasses. 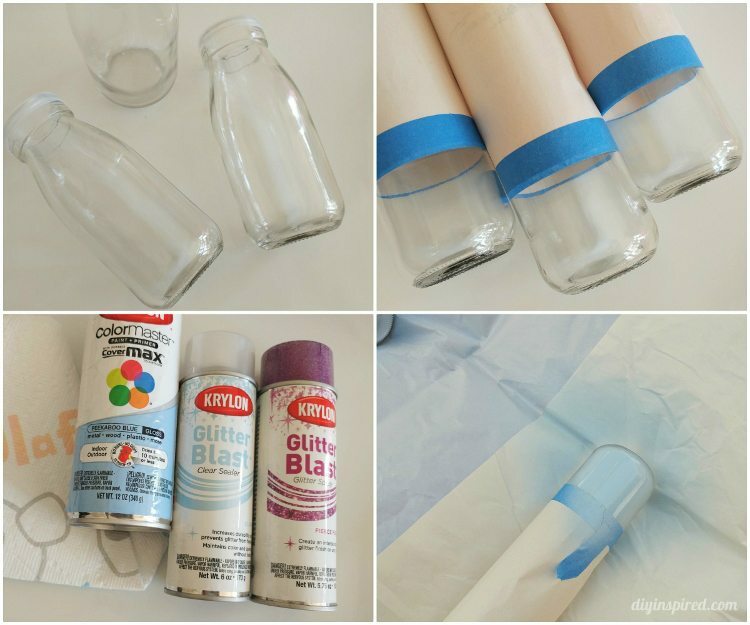 Cover the milk glass halfway with newspaper and painter’s tape. Be sure that the mouth of the glass is covered so that you are spray painting the bottom. Press the painter’s tape firmly around the glass to prevent paint bleeding. Spray paint the glasses in a well-ventilated area. Allow the spray paint to dry for 24 hours. Waiting a full 24 hours will help prevent the spray paint from coming off. Once the spray paint is completely dry, cover both ends of the glass with tape and newspaper. Again, pressing firmly on the tape to prevent paint bleeding. Spray the opening with glitter spray paint in a well-ventilated area. Keep a damp Bounty Paper Towel nearby to keep your fingers clean. Allow it to dry for about 20 minutes. Remove the tape and newspaper. Embellish the bottles with ribbon and a tag. 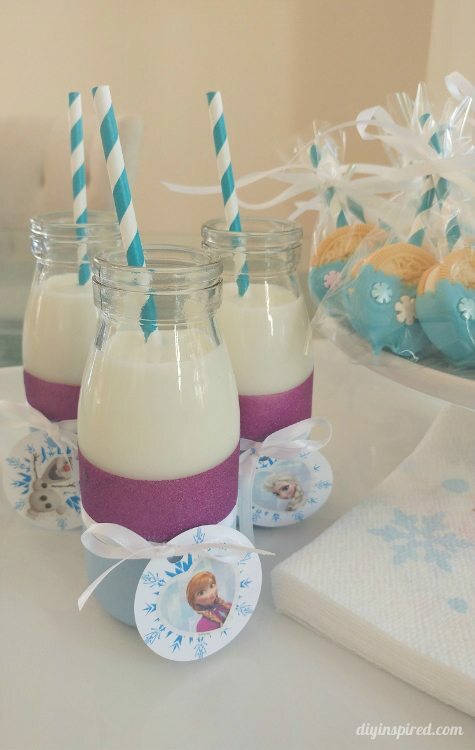 These bottles are perfect when serving party treats; alongside with Bounty Prints Featuring Disney Frozen Quilted Napkins your party table. You can even give them away as party favors to guests when they leave. Use Bounty Paper Towels to clean them before you send them home. A must-have for family fun, Bounty is more absorbent so it helps quickly pick up messes after the party festivities. Get some paper towels and Quilted Napkins for your next party! Don’t let messes stay frozen in time. Pick them up quickly! Your tutorial makes them look so easy to make. Thank you so much!! It takes a little time, allowing the first coat to dry. I think it might be better to do the glitter spray paint first.